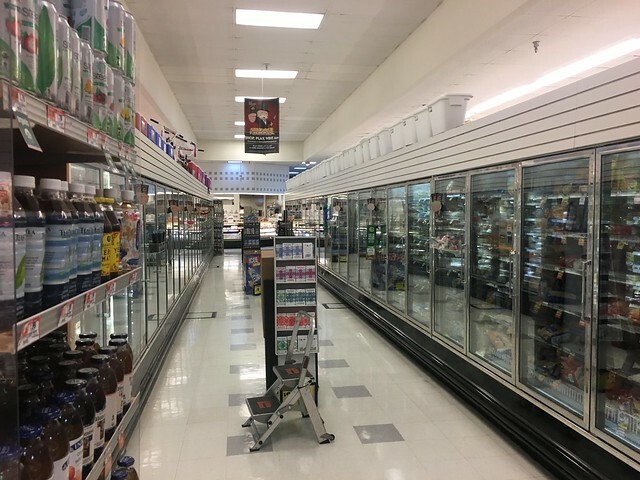 This week we're taking a look at an untouched Food Emporium, even when going through two other banner changes at this location. This location includes A&P's early 90's decor, but with a twist for The Food Emporium. 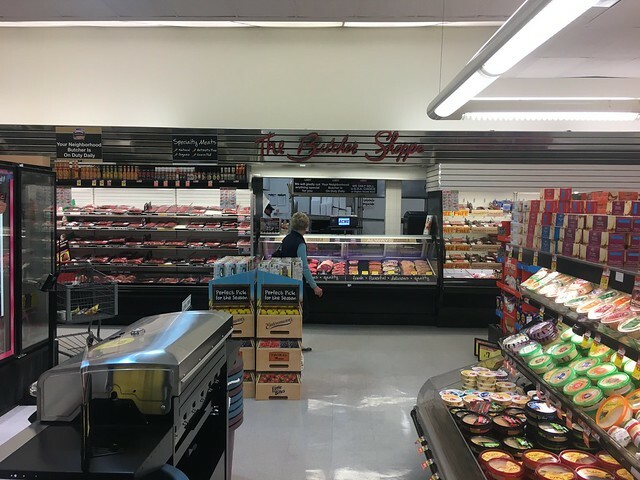 Instead of all the titling on the walls being the standard Times New Roman font, they are enhanced with the Food Emporium Script in certain departments, and the letters are placed on porcelain tiles, creating an absolutely stunning look. Acme unfortunately chose wrong on this location. 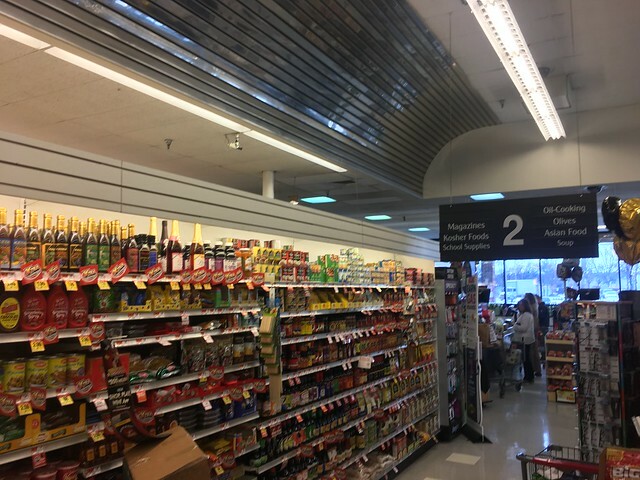 The ceilings are very low, and it would be impossible to add their new "Quality Built" decor to the store if they wanted to. I think that this is one of the places that they thought more about the location than the building itself. 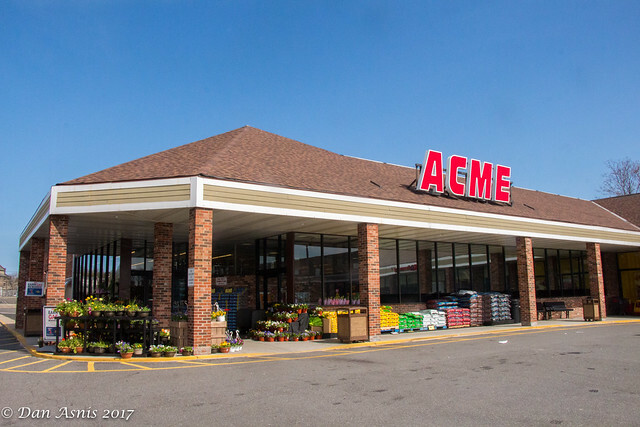 With the upcoming rumors of closures, I wouldn't be surprised if this is one of the first to go, because Acme can't really expand in this space here. 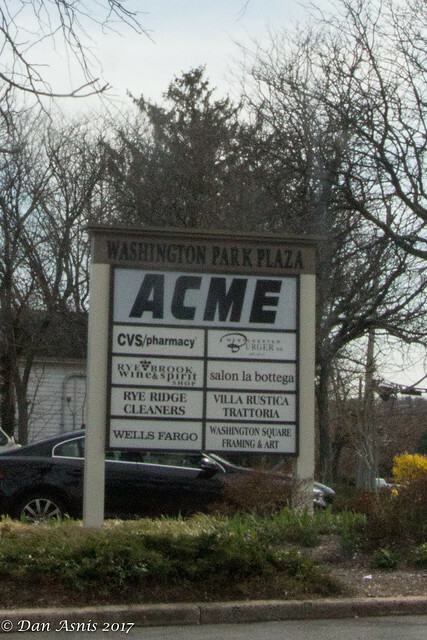 Many customers on Yelp and G-Maps are saying that the parking lot is too small already, so unless Acme gets to take over the whole center, there isn't much hope for them to make this a successful location. 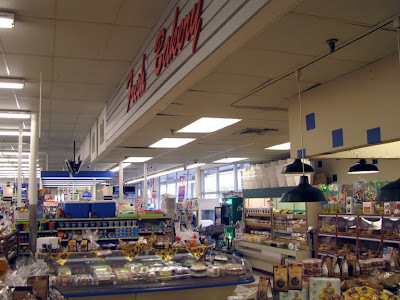 A&P was run very differently from Acme in the long run, and A&P didn't take over many stores, but if they did, they would spend a lot of time opening it. 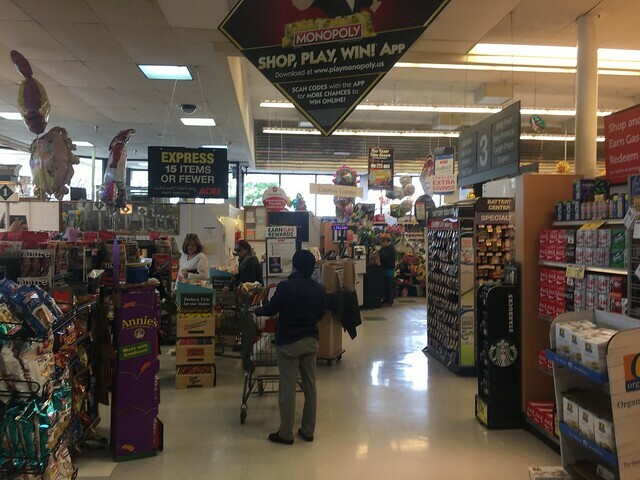 Acme is the opposite-- a store is closed for three days, and then they open with products stock and sales ready. A&P rebranded this location sometime after 2010 with no renovations inside at all. Today Dan Asnis is showing us inside this hidden gem. Go check him out on Flickr. He's got a great photostream full of retail! I really like his photos. Ah, the iconic Food Emporium Script. This type of decor was shown a little bit in a Bonus Post a few weeks ago. Some standard Black-and-White aisle markers here still. Look at that ceiling! That's a pretty neat treatment. Too bad it wasn't maintained better, it looks a little blemished. When unique pieces (such as the wood beams in Fresh 3.0) are maintained well, they look awesome, no matter the time in use. Deli and Prepared Foods are under the alcove here. I wish that all Acmes would carry Boars Head-- the quality is superior to Dietz and Watson. It only seems that the A&P-acquired stores has them. Checkerboard pattern seen here in the tiles around the top. 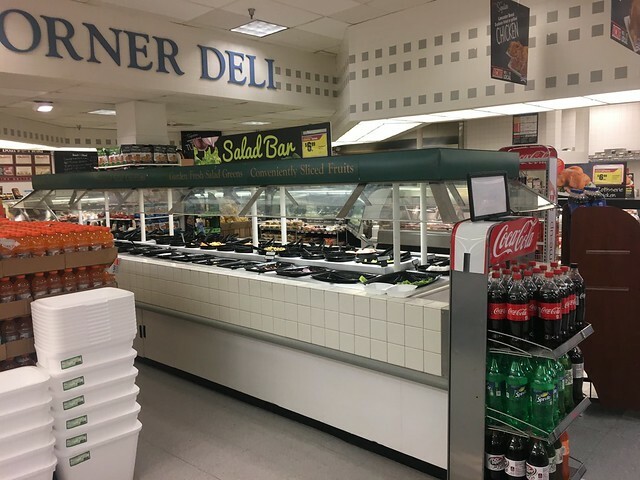 The original salad bar case is seen here from The Food Emporium. Neat banner choice around the top! Also, something to note here. 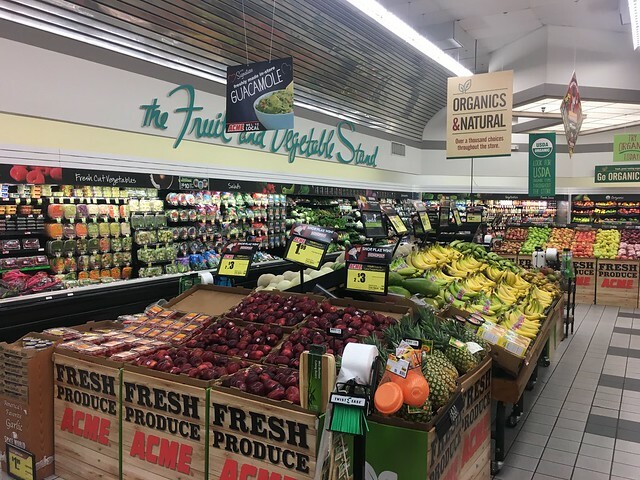 I don't usually do price comparisons, because they can be risky to report, and prices change with time, but Acme's salad bar at the Doylestown location is usually $5.99/lb. At this Acme, it's $6.99/lb. You think it would be cheaper because Acme didn't need to buy a new case or anything here... they just bought the store, put up their sign, and added inventory. 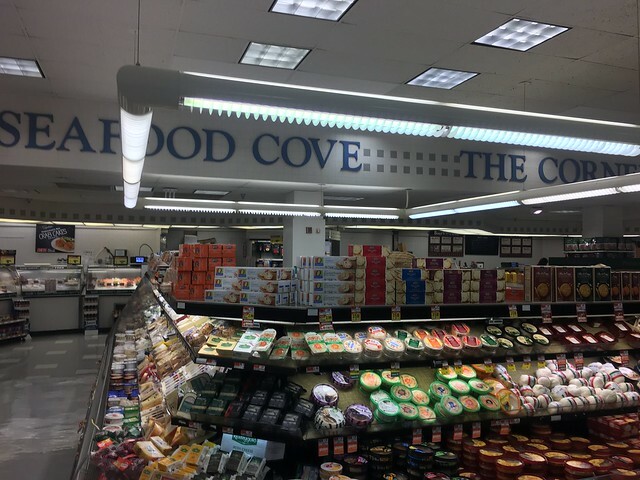 "Seafood Cove" is seen in the A&P version of this remodel, but with the script and background. Look at all that hummus! Acme Style said that Acme might have stolen Superfresh's letters from their mid-80's decor; but I think A&P might've stolen something from Acme on this decor! 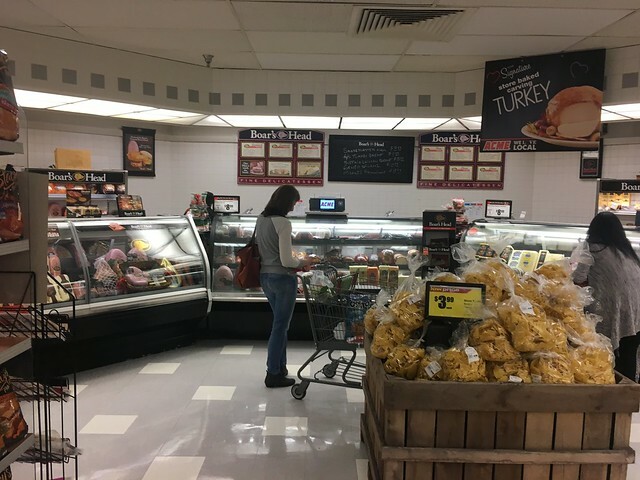 The Middlesex, NJ Acme has the same treatment in the Bakery with the script and wood-slat type alcove. If you took away the glossy finish on the metal here, you would have a pure twin of it! To view the Bakery, click here. 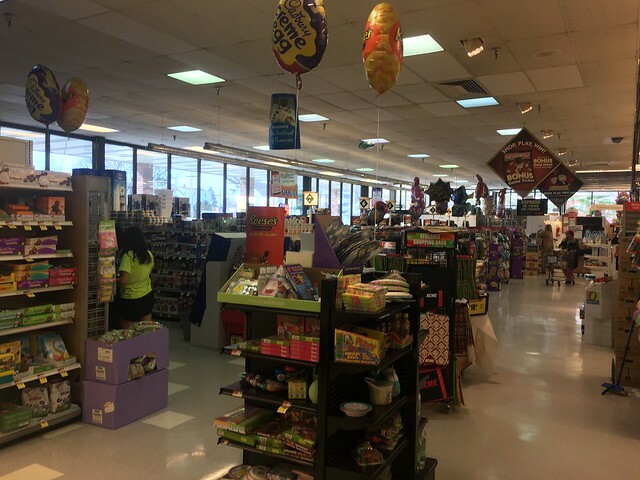 To view Acme Style's post on the store, click here. A quick look back at the front end. Some Classic Emporium lights here. Wood accents around the tops and bottoms. Thanks to Dan for the great pictures! 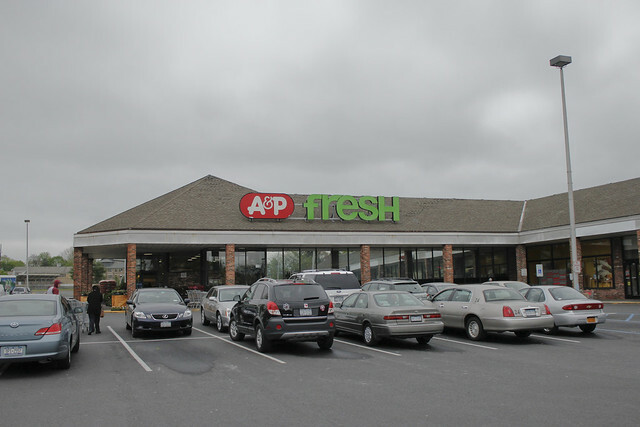 This store, along with many of the other small A&P Fresh locations in this area, was converted to an A&P Fresh between 2007 and 2012. Most likely it was switched to an A&P Fresh coming out of the 2010 bankruptcy. Others (Harrison, Yonkers, Eastchester, Bronxville, etc) had the same treatment. Some were renovated with Fresh 3, like Harrison. Thanks for the info, Supermarket Fan. I was trying to do some research on when these stores were switched over, and I couldn't find anything. Guess Word-of-Mouth is still the best thing! Sure! I only know that because the Google street view of the stores in 2007 shows them as Food Emporiums and in 2012 they're A&Ps.